WASHINGTON — Four littoral combat ships are on track to be available to deploy in 2019, the head of the U.S. surface Navy told Defense News in an interview. Though it’s unclear when the ships will deploy, the hulls will be through their maintenance and the crews through the phases, ready to become productive members of the fleet next year, Vice Adm. Richard Brown said Aug. 16. 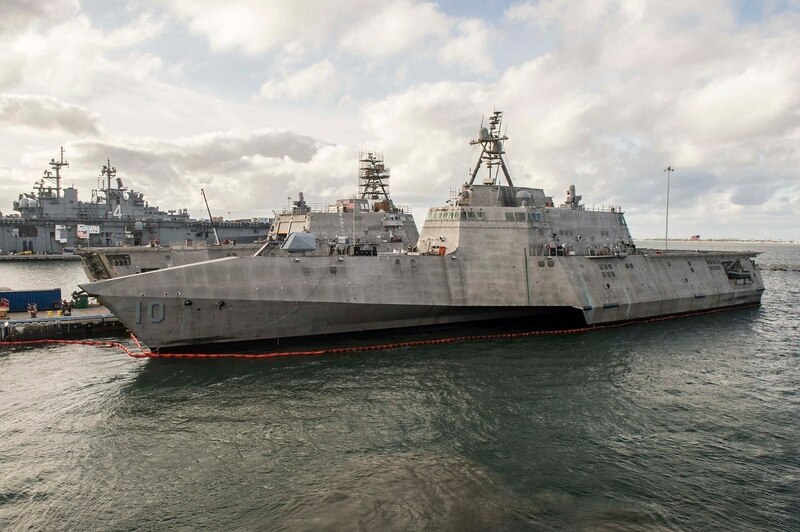 Deploying the LCS next year will be a major test of the reorganized program birthed after a disastrous nine-month span between late 2015 and 2016 that saw mechanical breakdowns on four of the six LCS then in service, some caused by sailor errors. The deployments will be closely watched as the oft-criticized program looks to shake off years of criticism and start performing missions that have been underserved since the last small surface combatants — the Oliver Hazard Perry-class frigates — left the service in 2015. The deployment-ready ships, all four in the surface warfare configuration, are the trimaran version Montgomery and Gabrielle Giffords on the West Coast, and the mono-hulled Detroit and Little Rock on the East Coast, Brown said. The surface warfare community is still piecing together what advanced training the ships will get ahead of the deployment, which makes it hard to precisely pin down when they will deploy, he continued. In a blue-and-gold crewing model, one crew mans the hull while the other stays ashore to train, switching at the end of a set period of time and turning the ship around for another assignment. The anti-submarine warfare package of future littoral combat ships should also be ready to go in 2019, and the mine warfare package the year after, Brown said. 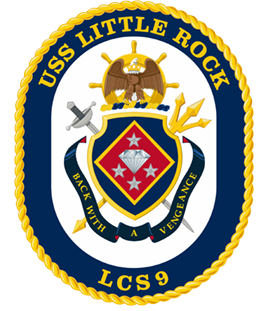 In 2016, the Navy fundamentally reorganized its LCS program, jettisoning the signature modularity of the program where a single LCS would have a small, permanent crew and switch out anti-surface, anti-submarine or mine-warfare mission packages on the pier depending on the mission. Each mission package would then come with a group of specialists to operate the equipment. But after a series of accidents, the Navy sought to simplify the concept and semipermanently assign mission packages to each hull and change a complicated three-crews-for-two-LCS-hulls model to a blue-and-gold crewing model used in ballistic missile submarines as a way of boosting operational tempo. The reorg was in response to concerns that the rotational crewing model reduced crew ownership of the vessel, potentially contributing to some of the accidents that plagued the program. One of the major accidents wrecked the then-forward deployed Fort Worth’s combining gear (roughly the same as the clutch on a car) when the crew started up the system without lube oil running. Getting the LCS up and running will undoubtedly lead to a torrent of combatant-commander requests for the ships. The head of U.S. Southern Command, Adm. Kurt Tidd, one of the highest-ranking surface warfare officers in the military, has already called for using the ships in the neglected counternarcotics mission to augment the Coast Guard. Defense Secretary Jim Mattis told lawmakers in April that he was reviewing mission options.